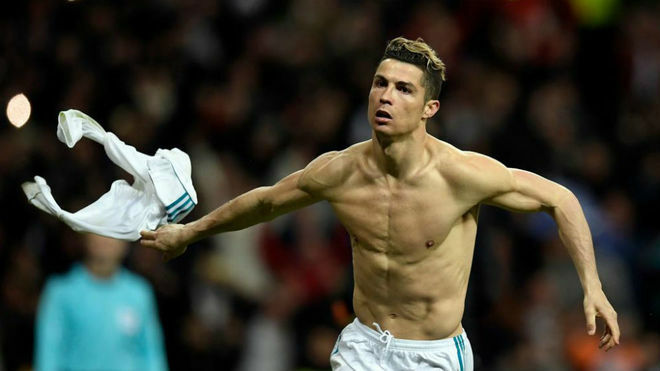 To knock out Bayern Munich from the Champions League, Cristiano Ronaldo will be looking to score in his 10th successive game at the Estadio Santiago Bernabeu. Real Madrid need him as before. Just like he was against Paris Saint-Germain, Juventus and against Atletico last season. The Portuguese can seal the passport to Kiev, celebrating the third consecutive final in the Champions league; statistics from another time. Crowds at the Estadio Santiago Bernabeu depend on Ronaldo, who is in this semifinal with his best data for a while. Fifteen goals in this season’s Champions League is a record that sits nicely alongside another record that belongs to him – nine consecutive games scoring at the Santiago Bernabeu. “May the streak reach ten,” his teammates tell him. Cristiano’s goal scoring account began in earnest in January, with a double against Deportivo, followed by a hat-trick against Real Sociedad. Then came PSG on the first big night of Champions League the season. Real Madrid were left without options in LaLiga, so Ronaldo has been in charge of pulling the team all the way to the thirteenth. Three goals against PSG and three more against Juventus, is the balance from the Round of 16 and quarterfinal. He didn’t score against Bayern in the first leg, but already knows how to play well against the Germans. Last year, he was the author of five goals in the quarter-final, with a first-leg double in the Allianz Arena and a hat-trick in the return at the Bernabeu. To those two goals can be added the two he managed in the 13/14 season, and the other two in 11/12.